We are a not-for-profit cat rescue and re-homing organisation based in Melbourne. 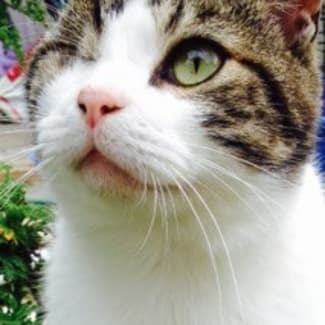 All our cats are looked after by foster carers before being adopted into their new homes. Every cat and kitten is worm and flea treated, vaccinated, desexed, microchipped and much loved, before being listed for adoption. Paperwork is always provided where available. Don’t let the chance to meet Mertle pass by. If you would love a gentle, loving companion then she is the cat for you! She is a 2 year old, low maintenance cat that that enjoys sitting in front of the window and watching the world go by. 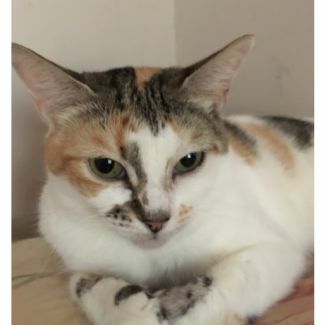 Mertle is a shy girl who likes being stroked and brushed and who would blossom in a home with loving and patient people. She would be fine with other cats in her family and is an indoor cat only. Gil is the sweet little brother of Token, as dark as he is white! Surrendered to a vet clinic, Gil found safety with Bast, but is eager to find love in his own forever home. 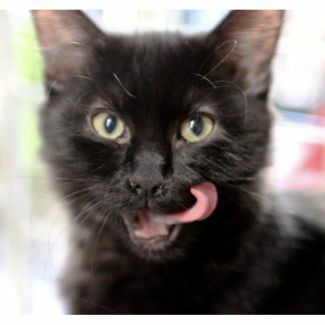 Friendly and affectionate Gil is the complete kitten package! 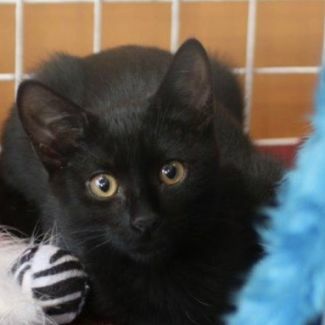 This gorgeous little guy has a perpetual wide eyed look to go with his silky black coat. Purrs as soon as you touch him, this little house panther has a lot of love to give. Spunky monkey Caspari is a gorgeous boy, who loves to be cuddled. He may only have one eye, but that doesn't stop him. This guy is super affectionate. 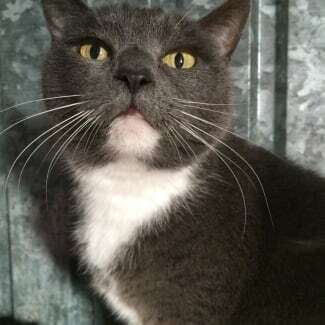 Don't let his FIV status put you off; Caspari is a healthy cat and will have many great years ahead of him if he is well looked after. This lovely girl’s adored owner passed away...leaving his beloved pud homeless...dad was 89 when he died, so Selly is used to elderly people...she slept on the bed with him every night... She would like to be an only cat...she would like to be able to run around a garden..and most of all...she would like to have her own person to love again. She is a fit, healthy cat who has recently had a dental. Selly is good to go and just waiting for your call!! !